Click on the original word to restore. Click close button to close it. Manage the spinned words as you want.. Articles play an important role in building a brand of your website. If you are publishing a great content on your website on a regular basis, then Google will love you for sure. Writing great content is an art which takes a long time to learn and practice. 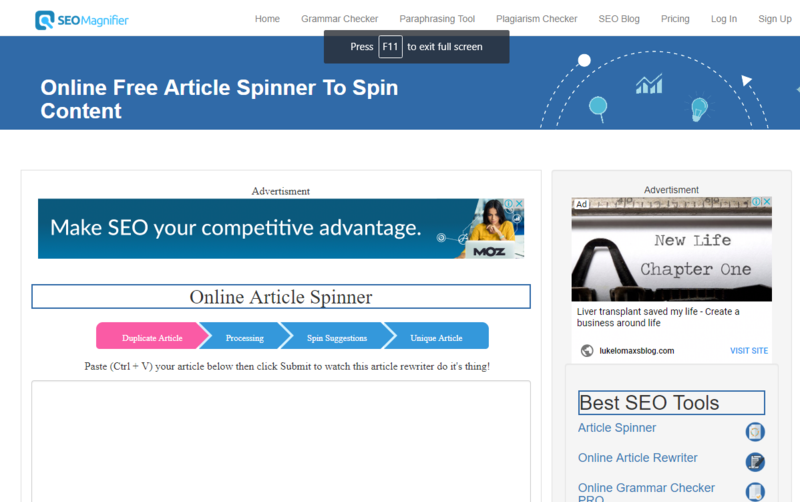 So, if you don’t have time or skills to write down articles by yourself, then you can use our best online article spinner. 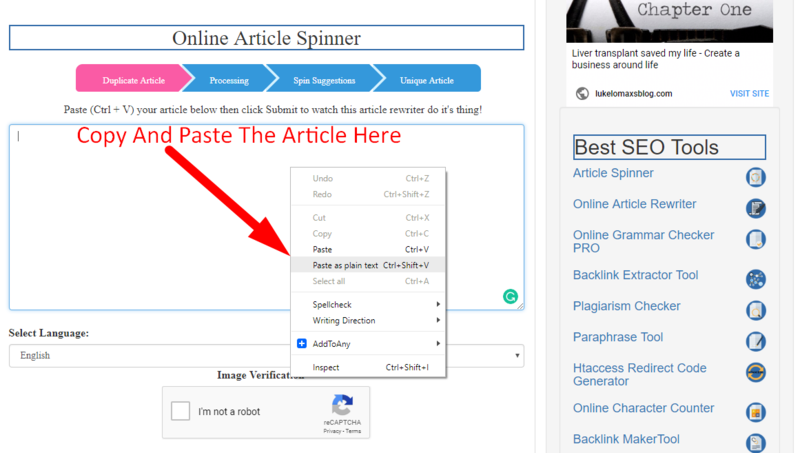 What is the best free article spinner Of 2019? 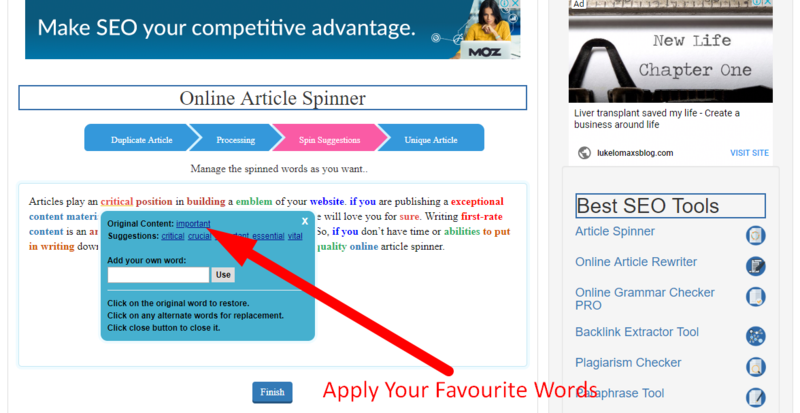 So, after discussing the value of content for your website, let’s discuss what a text spinner is? So, let’s get started without wasting any more time. An article spinner by SEO Magnifier is a web-based application that can write unique articles for your website/blog without any hustle. You are just one click away from 100% unique article. 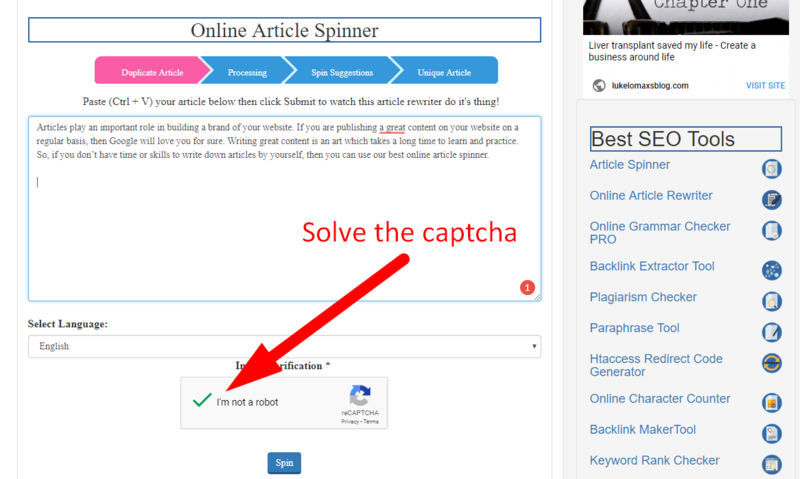 Well, all you need is to copy and paste your desired article into the text box and hit spin. That’s it; you have generated a unique article for your website. 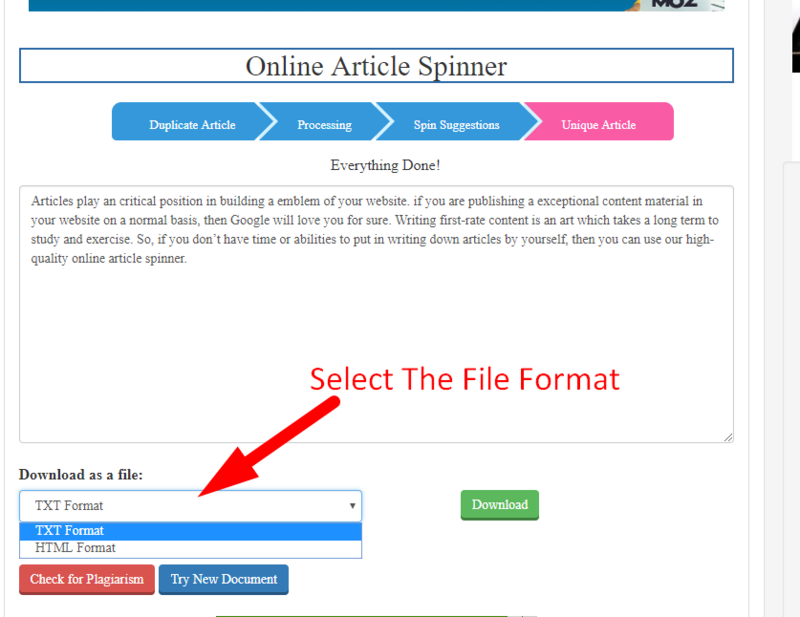 Why do you need to use online article spinner it? 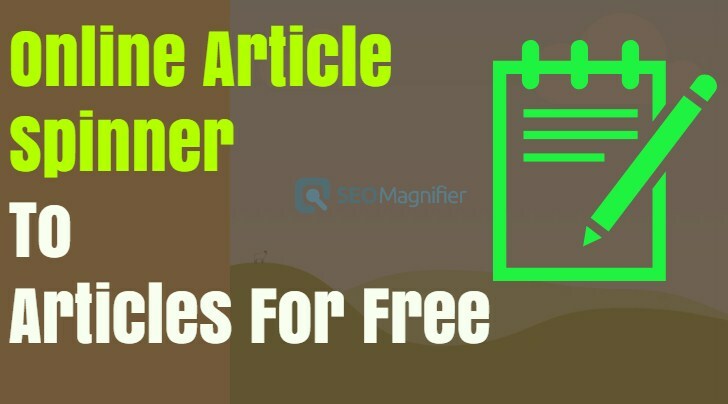 Well, there are countless reasons why you need to use free article spinner offered by SEO Magnifier. We’re going to enlist some of the most important reasons/problems that will make you use this content rewrite tool by SEO Magnifier. Nowadays, the importance of web2.0 is great and if you want to rank your blog without spending any money on PBN’s. You can create free web2.0 backlinks for your blog. All you need is content and guess what! That problem is solved by using our online best article rewriter without any doubt. You can make any article 100% unique by just a mere of a click. You can write as many articles as you like for your web2.0 blogs and make free backlinks to your money site. Moreover, you can submit these articles to different article directories as well to increase the trust rate of your (blog) money site. These articles made by our content spinner will help you to get free but high authority backlinks from trusted websites. 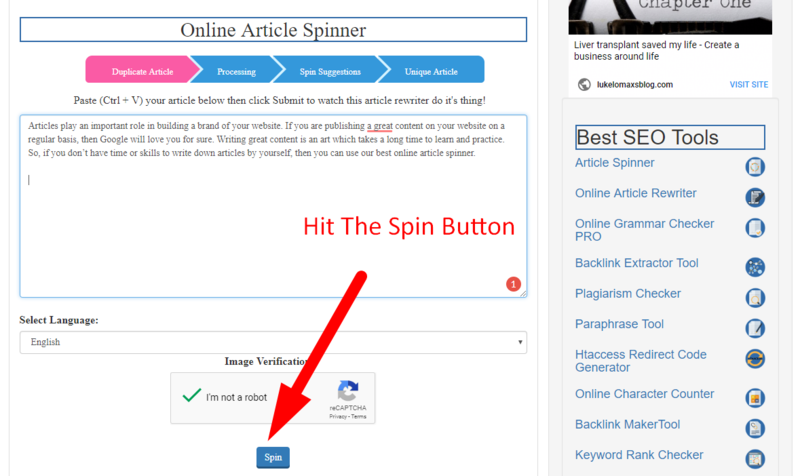 You can also do guest posts on different platforms with the help of this best article spinner. Last but not least, you can also use this spun content for various purposes as well. You can keep your website updated once you are getting better results in SERP. Indeed, it is one of the best content spinners on the internet available on the internet these days. What’s new in the SEOMagnifier's Online Content Spinner? It is one of the most interesting things to talk about because they are so many text spinners out there on the internet so, this question comes to everyone’s mind that what’s new in this content spinner offered by SEO Magnifier? So, here goes the answer. As we all are aware of the thing that the uniqueness of the article depends on the amount of spinning you do on your content. The more amounts are there, the more are the chances of getting the fully unique article as an output. So, the Article writer offered by SEO Magnifier is just amazing. It can spin most of the content in seconds. The most interesting and important thing about the tool that makes it different from any other tool is that this content spinner is supported by seven different languages. How to spin article online using SEO Magnifier to create unlimited for your blog? First of all go the tool page. First of all, you need to find the available content on the web that you want to spin for your website. 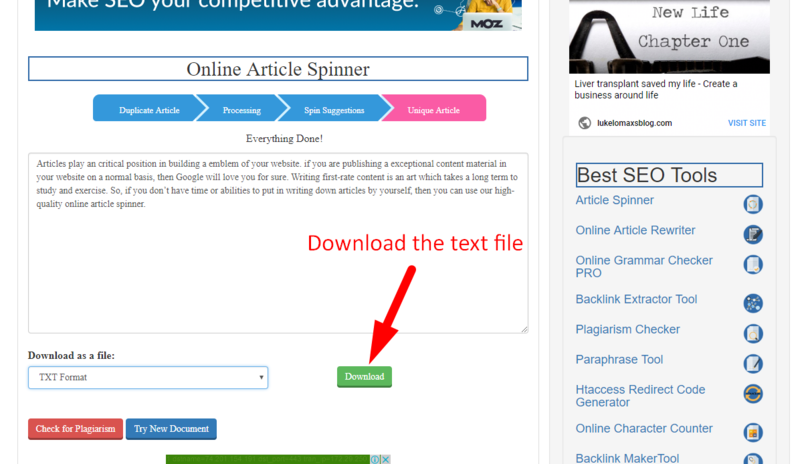 After that, all you need is to copy the content from the source and paste the copied content into the spinner. 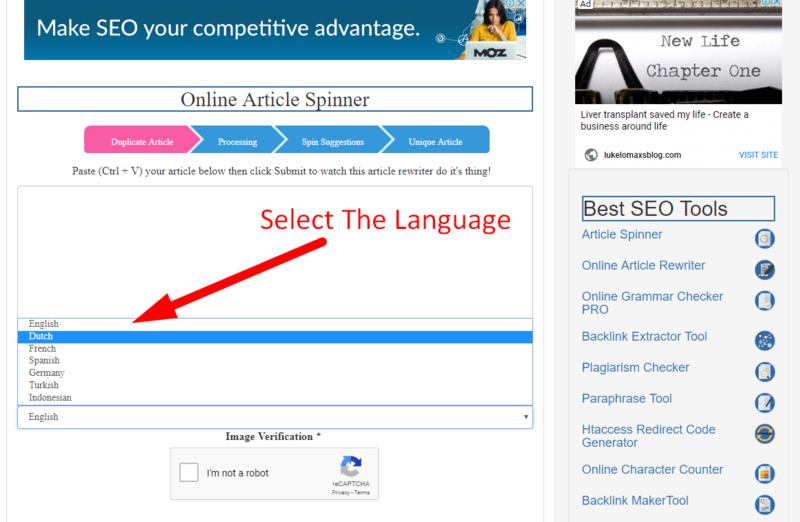 After pasting the content, select the language that you want to spin your article in. After doing all the above steps hit “Spin Button” without any hesitation. Click the Download Button to download your document file. 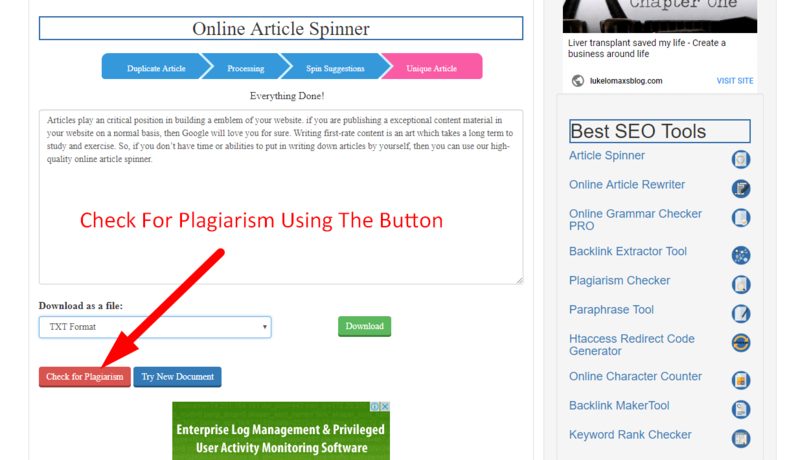 Check for plagiarism if you want to analyze for plagiarism issues. Enjoy this great yet free service offered by SEO Magnifier. Also, use the best paraphrasing tool offered by the SEO Magnifier.